Oral cancer is unlike other types of cancer because it is not the most prominent one. In fact, statistics show that compared to the number of those who die of lung cancer or cervical cancer, those who are at risk of dying because of oral cancer are lower in number. And yet the fact about oral cancer remains the same. It can be painful and fatal all at once. The hard part about oral cancer is that a layman may not be able to detect that it is already there and that it can be difficult to cure too. Although dentists usually say that early detection of oral cancer and extensive treatment of it would be very helpful in saving your life, proper oral health could have saved you from all the trouble. The best thing to do to prevent cancer is to make sure that you do your share of care for your oral health and let the dentist do his share too. 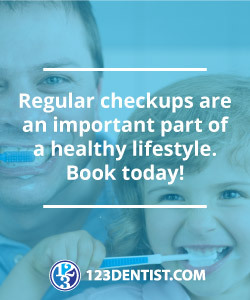 With regular visits to the dentist, you can be assured that something can be done to improve your oral health and perhaps if cancer cells have already developed its early stages, it can be detected too. Changes in the mouth especially the teeth, gums and tongue should be a cause for alarm. Make sure to see your dentist immediately before anything gets worse or you are in a lot of pain.